The Singapore Malayalee Literary Forum (SMLF) is platform to appreciate literary creations and to inspire Singaporean writers in their creations. The forum presented 15 literary sessions in 2017, SMLF has about 100 active members who participate on various sessions. SMLF welcomes all Singapore Malayalees to actively take part in the sessions of the Literary Forum. Please write to at [email protected] for regular updates on the activities of the forum. SMLF released its 3rd publication, the “The Selected poems of MK Bhasi” on the 15th June 2017. The past President of Sahitya Academi of Kerala, Mr. Perumpadavam Sreedharan. Ambassador Mr. Gopinath Pillai handed over the first copy to Mr. Perumpadavam who release the book and gave an elaborate speech on MK Bhasi Poems. Mr. T Suresh Kumar, Mr. Vijaya Krishanan, Mr. D Sudheeran and Mr. Krishna Kumar also presented sessions on the event. A number of SMLF members presented their studies in 2016. These include sessions from Mr. Mohan Raj on Vailoppilly, Mr. Ashok on O V Vijayan, Mr. Krishna Kumar on Lalithambika Antharjanam. There were sessions of “Kavya Kalari” conducted across various months of the year. These sessions were to inspire the writers of Singapore to come together to present their literary works and also to bounce the works among each other. There were sessions of “Kavya Kalari” conducted across various months of the year. These sessions were to inspire the writers of Singapore to come together to present their literary works and also to bounce the works among each other. These sessions also saw guidance sessions on the art and craft of literature making from Mr. T Suresh Kumar and Mr. R B Pramod. The effort resulted in the form of a book, the second publication of SMLF. SMLF published 3 books in connection with the anniversary celebrations. Kavyasopanam II was an anthology of poems from the poets of Singapore. 14 poets took part in the session including Ms. Pia Kumar, Ms. Mary Raphael, Ms. Anjana Prem, Ms. Biju Prahlad, Ms. Uma Shankar, Mr. Sathyan Pookkoottath, Mr. Mohan Raj, Mr. Ashok Kumar, Mr. Madan Pushpakath, Mr. Padma Kumar U, Mr. Vijaya Krishnan, Mr. D. Sudheeran, Mr. Litton Kurishinkal and Mr. Sunil Sivadas participated on the publication. All the three books were released on the 12th of November 2017 at Sahithyolsavam in connection with the anniversary celebrations of SMLF. The event was conducted in association with Kerala Sahitya Academi. 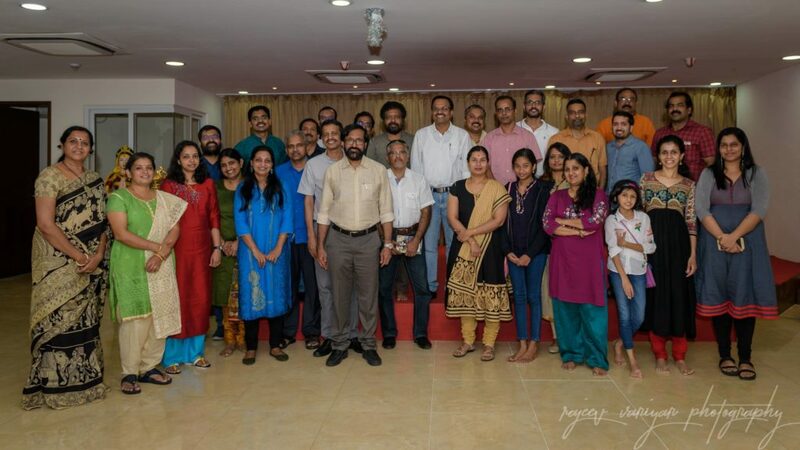 Noted writers from Kerala, including the president of the Academi Mr. Vaisakhan, Secretary Dr. KP Mohanan, Award winning writers Mr. M Mukundan Mr. TD Ramakrishnan and Ms. Kadija Mumthaz participated in various sessions. The three-day long festival saw various sessions of presentations from the SMLF team as well as the distinguished writers. Story writing competition was held in conjunction with the anniversary and Ms. Hema Sivaramakrishnan won the first place. Ms. Smitha Augustine won the second place in the competition where about 20 Singaporean writers participated.